Colored Wholesale Towels That Stay True. 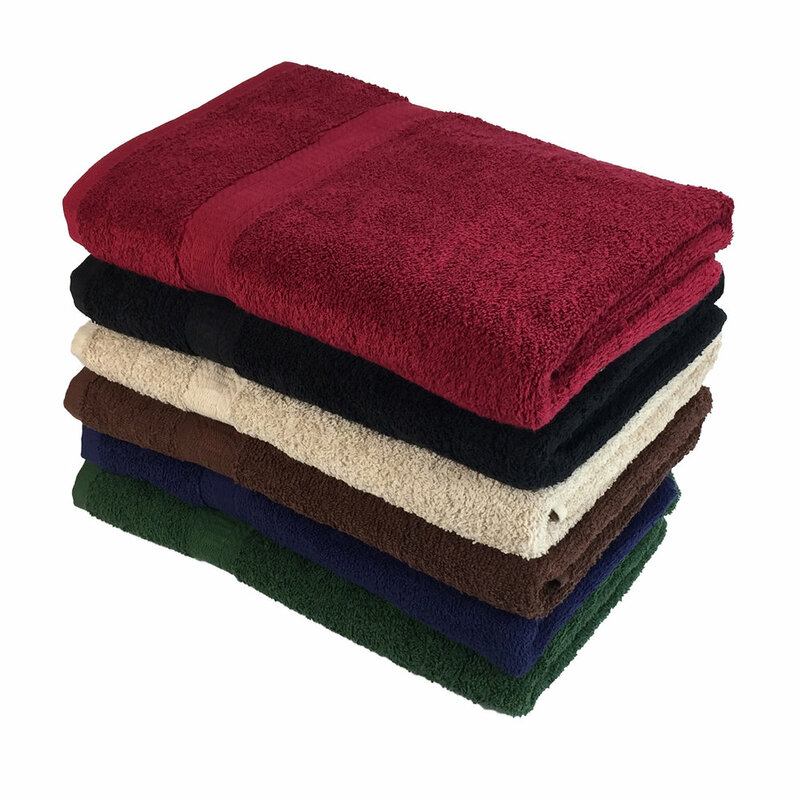 These towels are soft, ring spun 100% cotton, with a dobby border, and are available in black, brown, burgundy, navy, hunter green, and beige. Create brand loyalty. When minimums are met we will create any color towel and even private label your towels so you will always look smooth and in control. 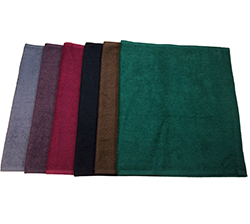 Ideal for spas, resorts, and country clubs these specialized towels are available for immediate delivery. REALLY bleach-safe and available in Black, Brown, Burgundy, Charcoal, Eggplant, Hunter Green, and whatever color you would like. Sold by the carton and color but working best as sets, these yarn-dyed ring spun cotton products are bright white and ideal for timeshares, extended residences, or consumer use.